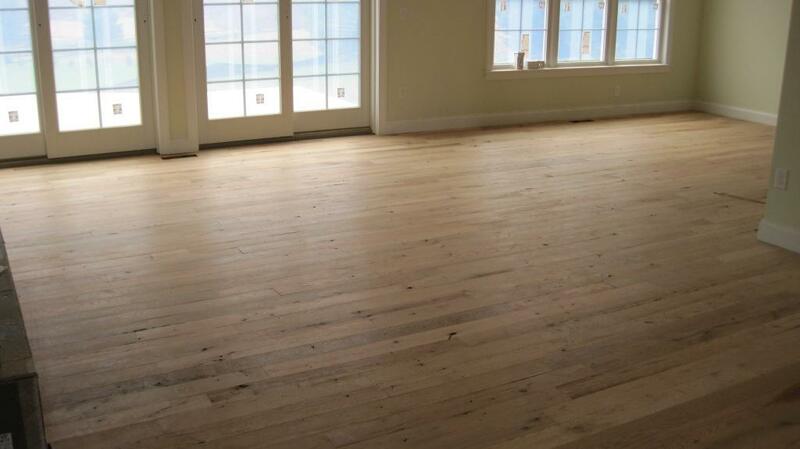 The floors are almost complete !!!! 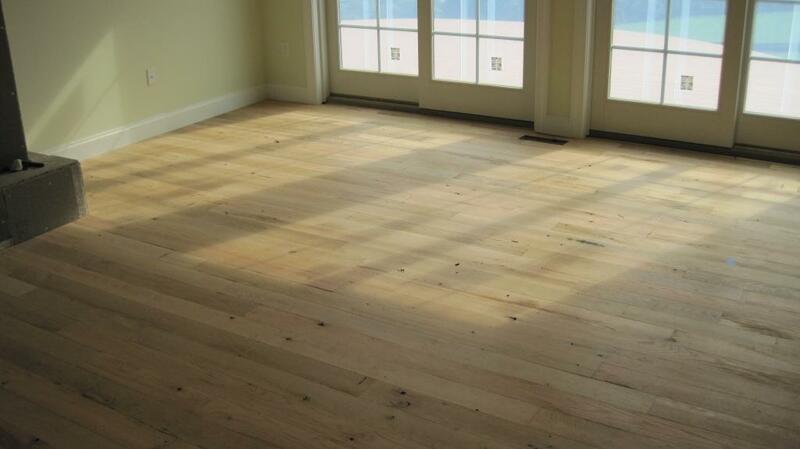 Another view of the flooring. 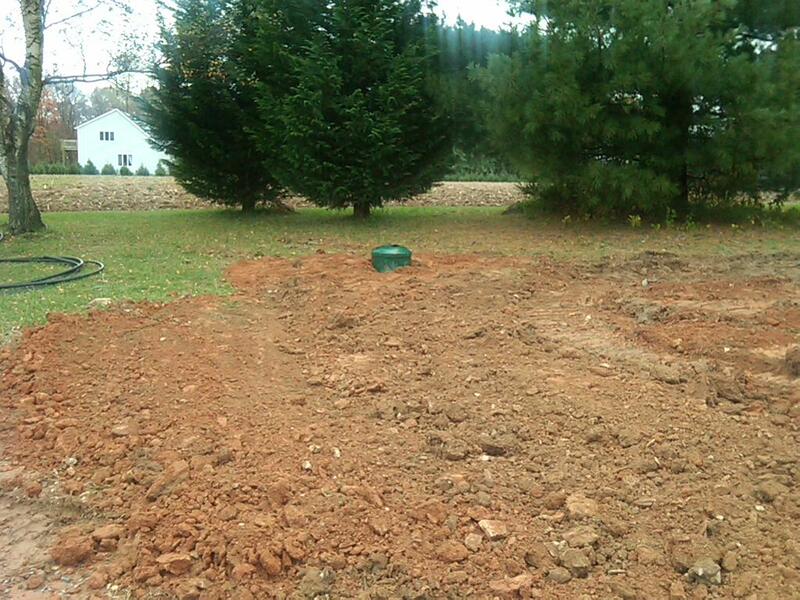 The propane tank has been installed. It will run the fireplace, cooktop, and dryer. Gas dryers are four times more efficient than electric dryers. Here's the propane connection to the house. In the upper right hand corner, you can also see one of the vents that was installed this week for the ERV (see below). 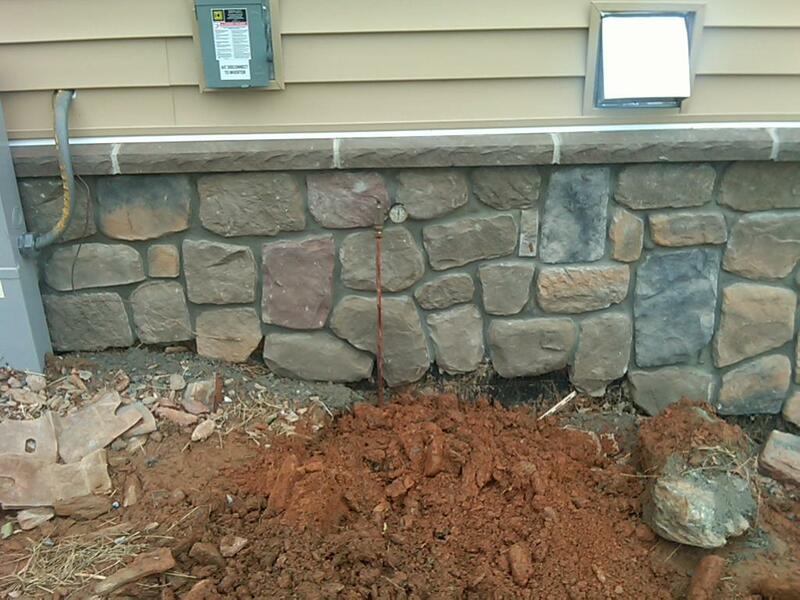 The stone has almost been completed around the foundation of the house. 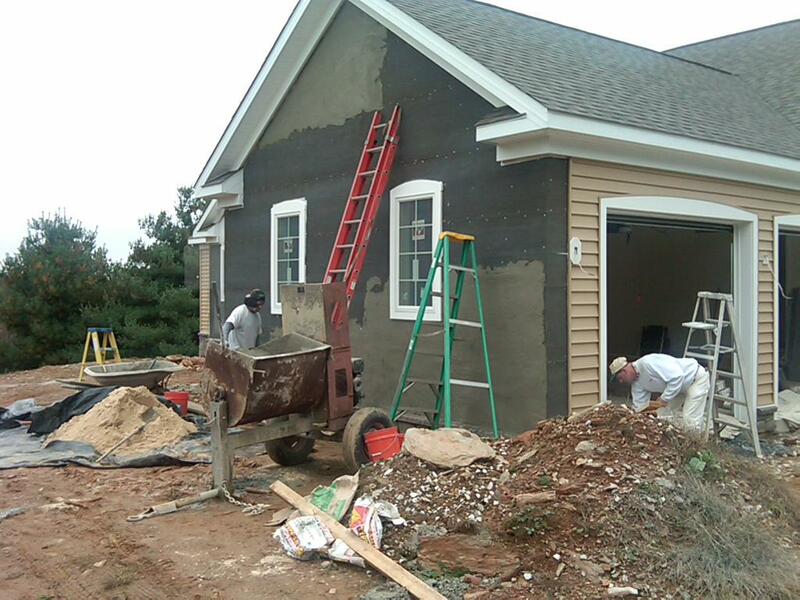 Now the guys are starting their preparation on the upper areas of the front of the house. 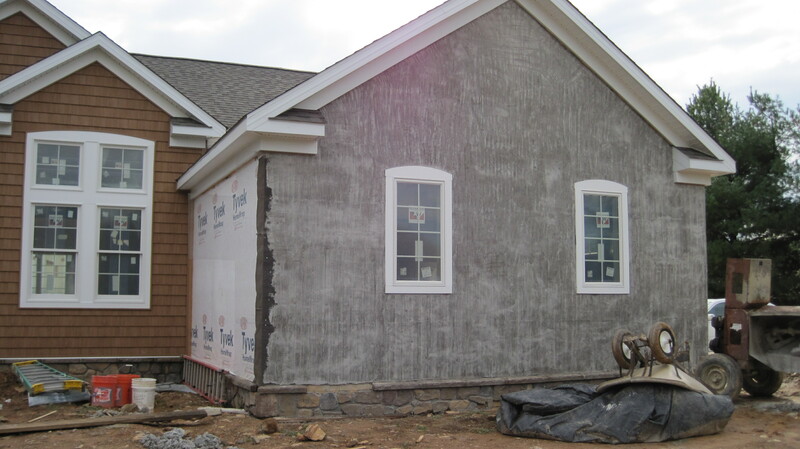 The front walls have to be coated with black paper, metal mesh, and mortar before the stone can be applied. 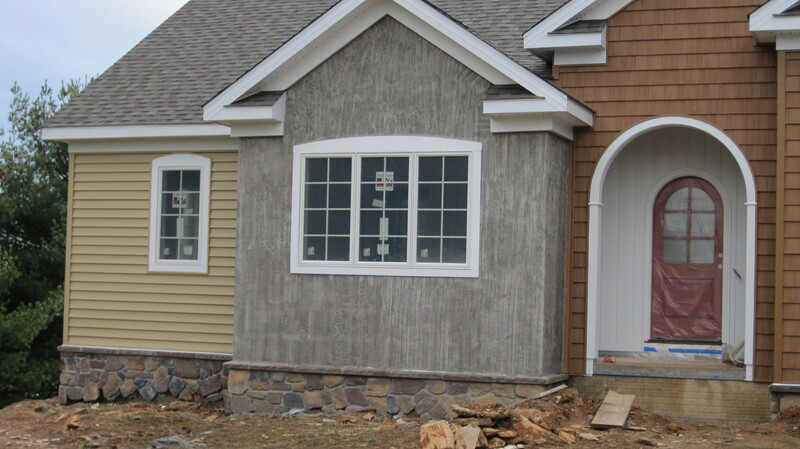 Another view of the front stone preparation almost complete. The geothermal HVAC unit is now up and running. 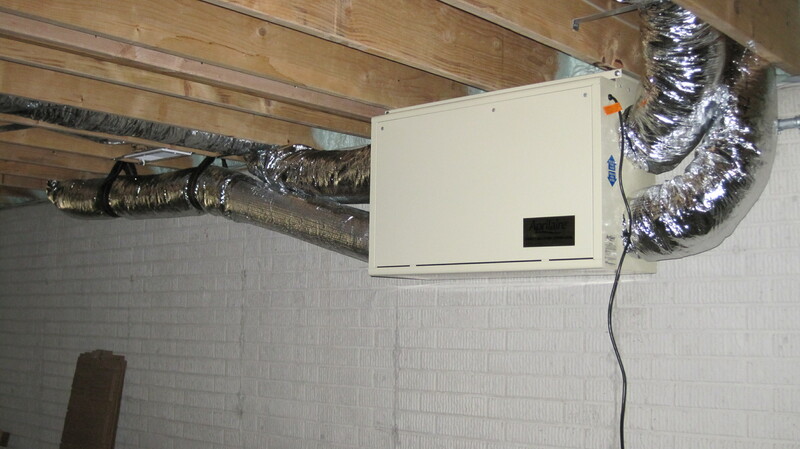 The Energy Recovery Vent (ERV) has been installed in the basement. It will regulate the flow of "new air" into the house. This is required because the house is so efficiently insulated, very little air would filter into the house without this unit. 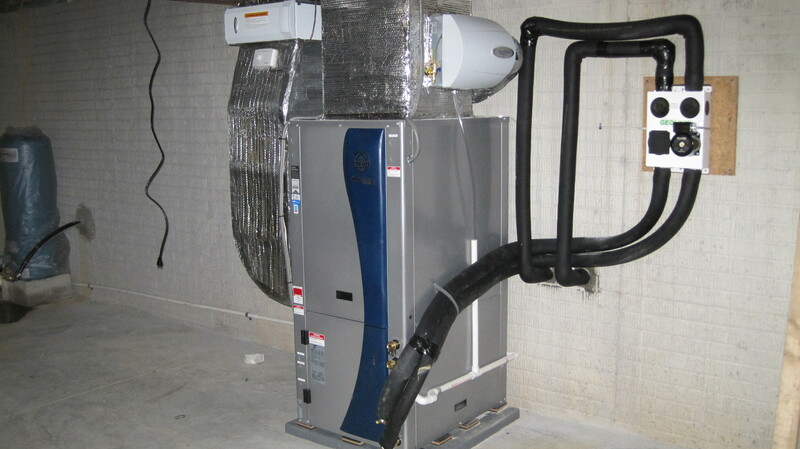 It is also very efficient, "pre-conditioning" (warming in winter ... cooling in summer) the outside air with exiting air before it enters the geothermal unit.